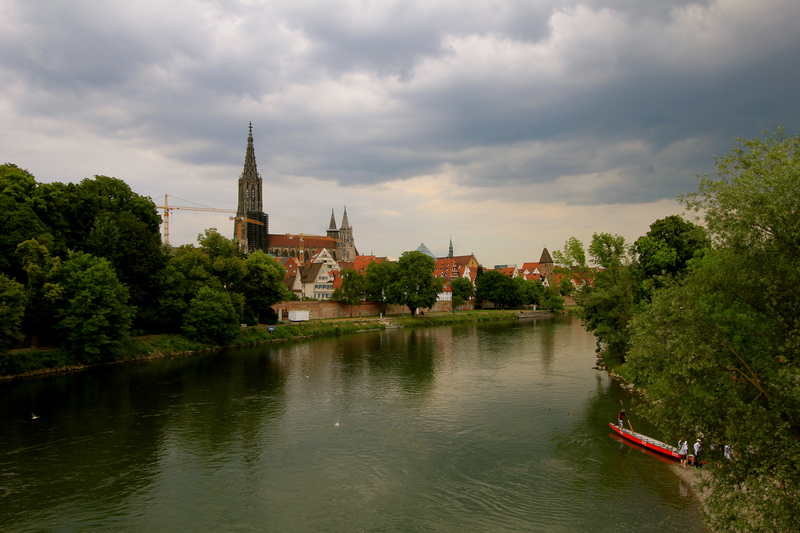 In our 6 Day driving adventure to Venice and back, the second stop during Day 1, as well as where we spent our first night, was in the city of Ulm, Germany. A city, settled 7,000 years ago, but officially founded in 850AD on the Danube River at the border of the German States of Bavaria & Baden-Württemberg. Today, the city population is about 120,000 people. 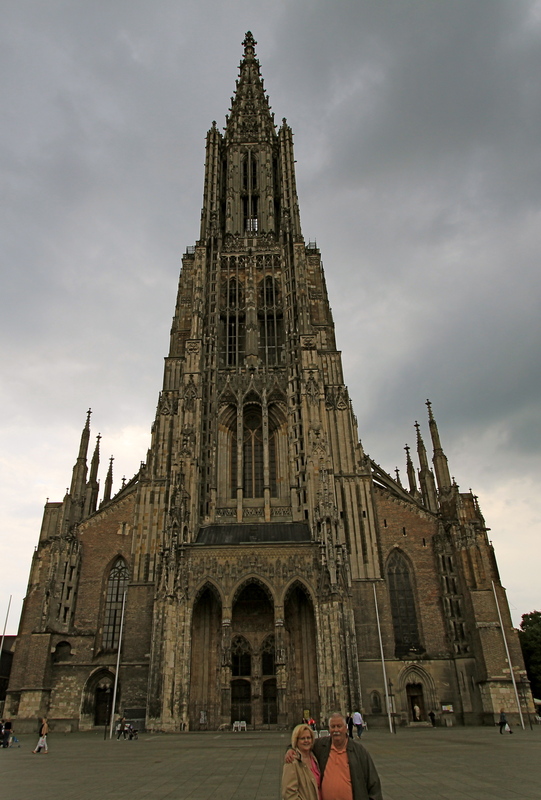 Two interesting facts about Ulm: (1) Ulm has the church with the tallest steeple in the world (161.53 m or 529.95 feet), and (2) is the birthplace of Albert Einstein. The Danube River flows through the middle of the city. And, a popular activity along any river in Europe is rowing. 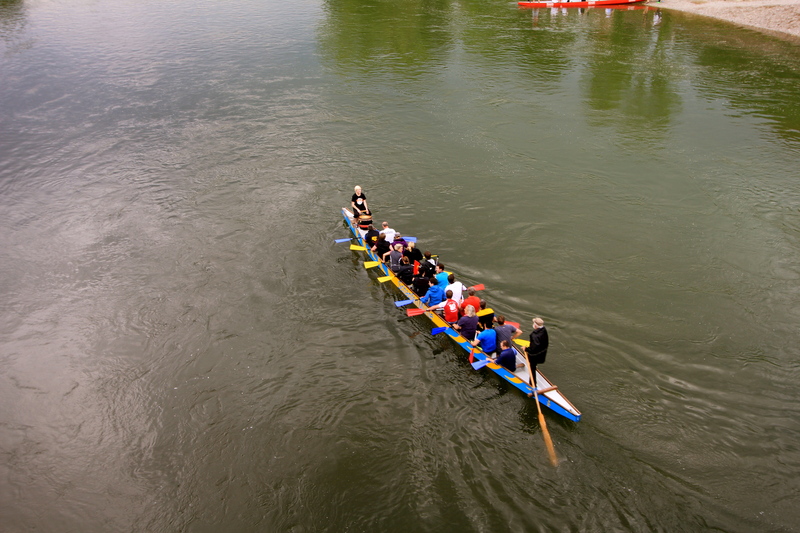 We watched from a bridge as a row team placed their boat into the river. In the front of the boat is a drummer that beats out the rhythm for the rowers or calls out strokes, as the person at the rear steers the boat. 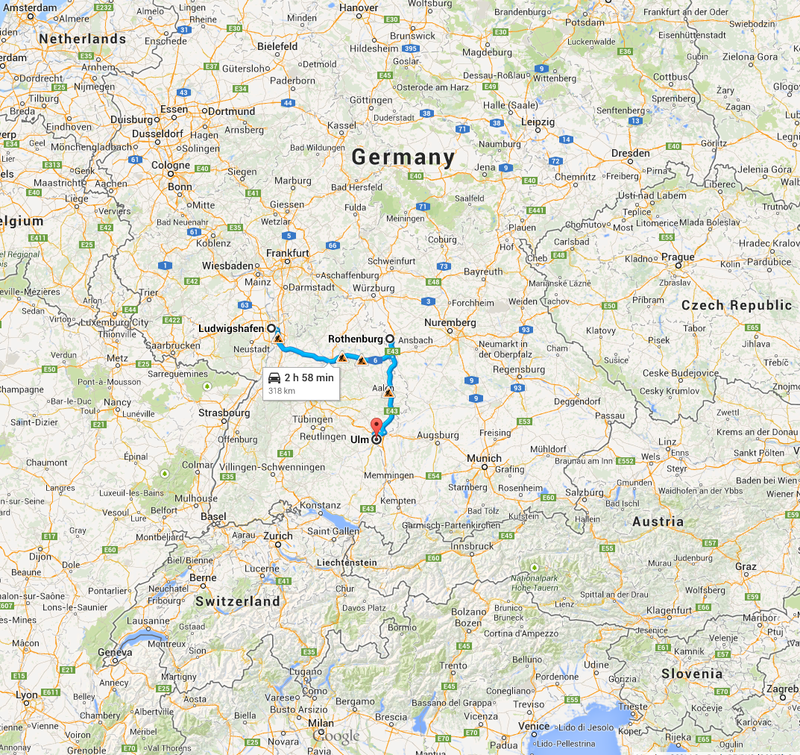 The German State of Baden-Württemberg is on the left side of the Danube and the State of Bavaria is on the right. 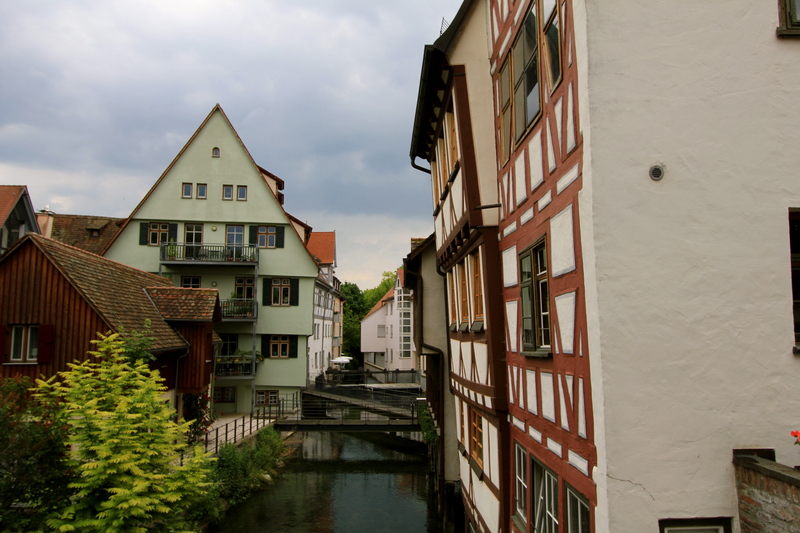 Once crossing the Danube and entering into the old city of Ulm is the area known as the Fisherman’s Quarter. This section, along with the church, were the only parts of the city that did not get bombed during WWII. The thinking is that the pilots used the church as their visual location of the city, therefore the church was saved. 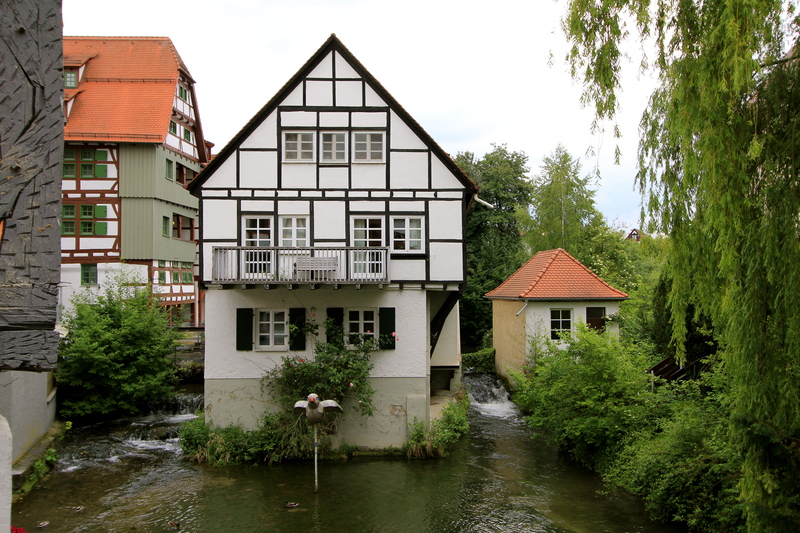 Several small German timber homes stand on small islands in the Danube as water passes by on all sides of the homes. The only entrances are small bridges to the front and back doors. 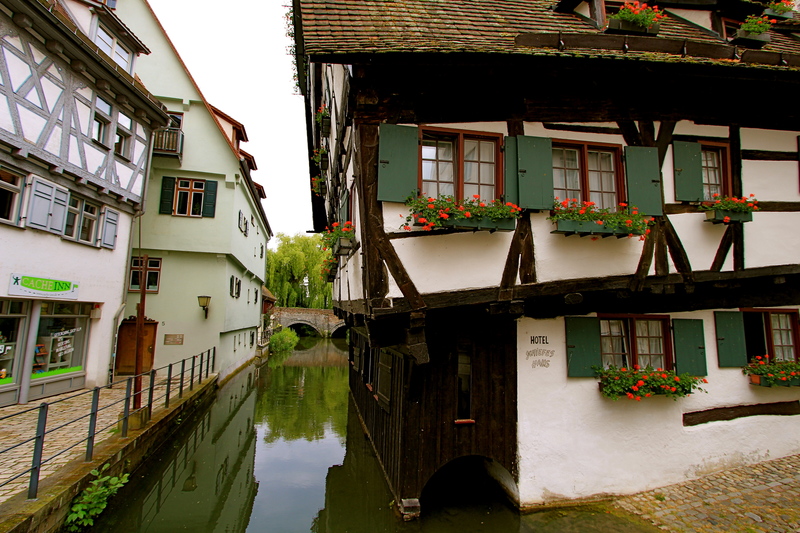 It is an otherworldly experience seeing these crooked homes standing on islands. The ‘Crooked House’ – according to The Guiness Book of World Records, it is ‘the most crooked hotel in the world’. 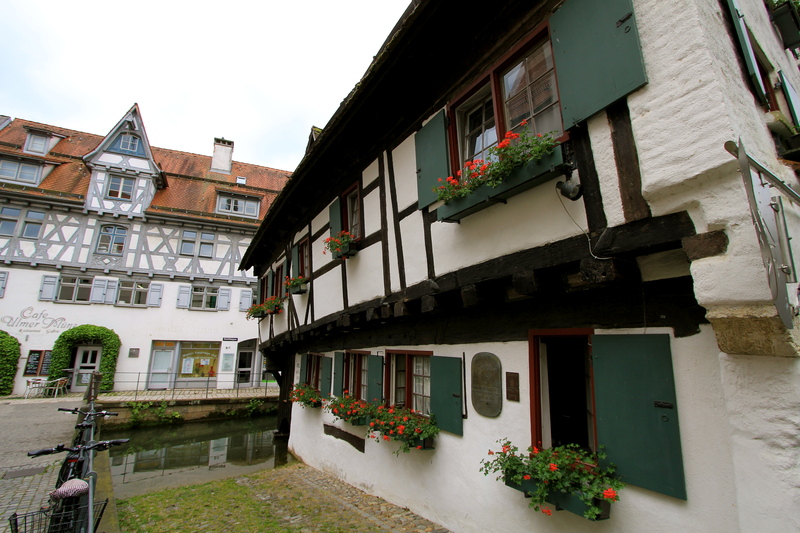 Built in the 15th Century. 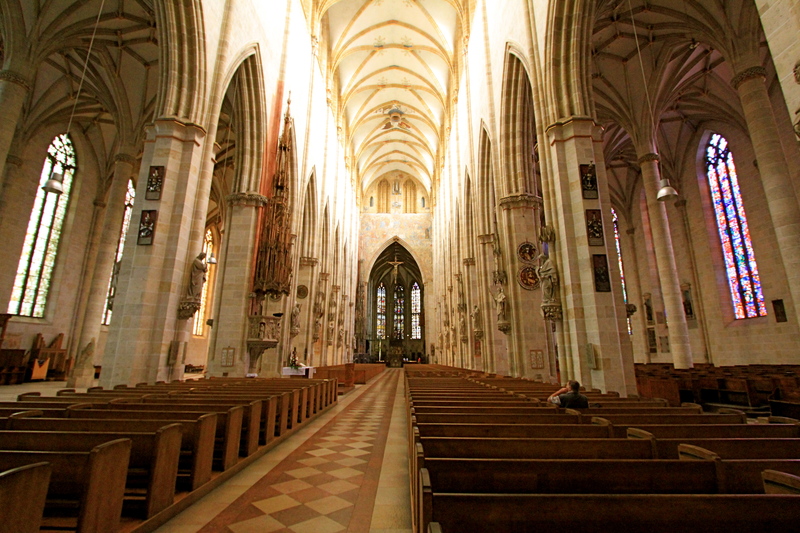 The inside of the church is just as large as the outside. 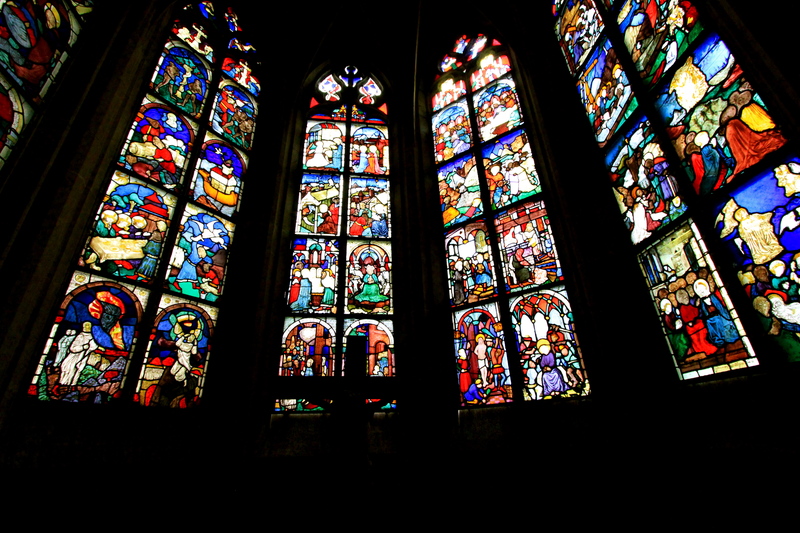 The church is called a “Minster” instead of a “Cathedral” because no Bishop has ever been placed here. 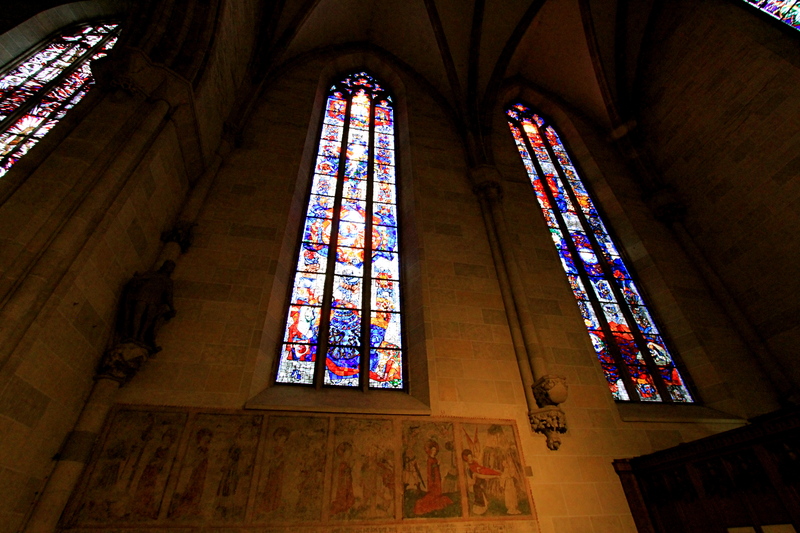 The church has its original stain glass windows. 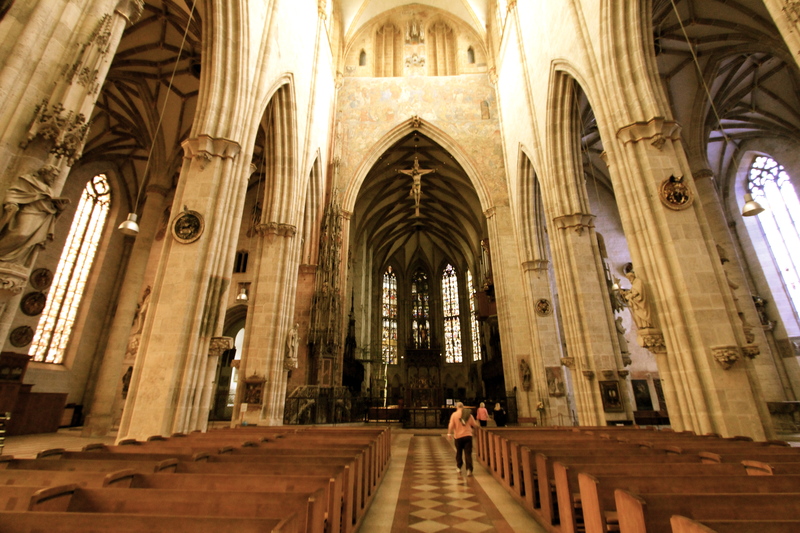 Miraculously, the church was sparred any damage from bombings during WWII. Whether it was divine intervention or the fact that the church was used as the target by the bombing pilots, the original church stands. Originally a Roman Catholic Church, after the Thirty Years War, it is now a Luthern Church, which began construction in 1377AD. 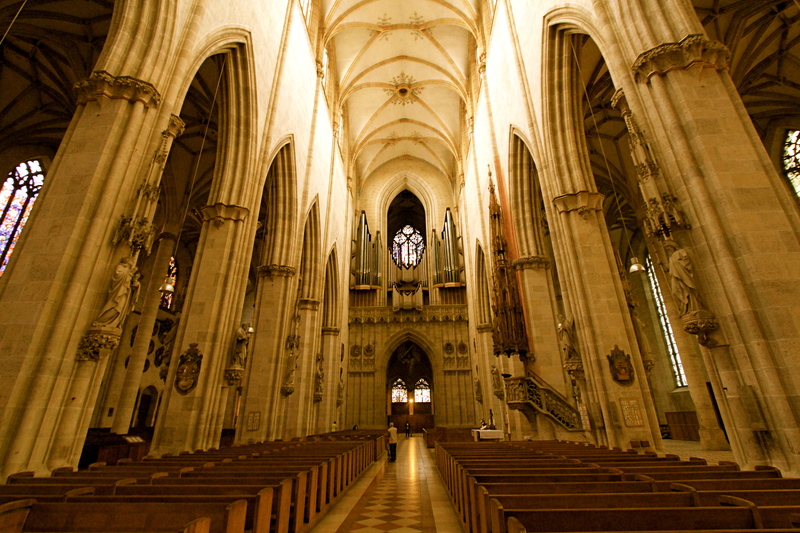 The height of the central nave (center hall) is 136 feet. 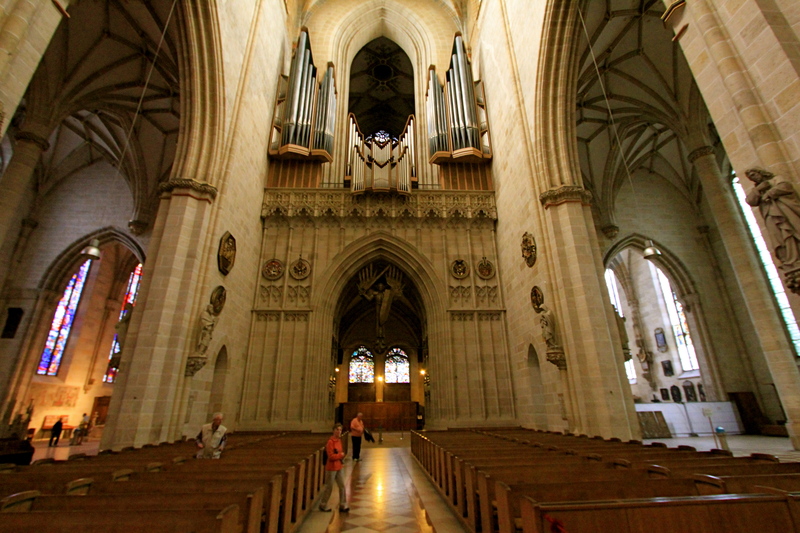 I can only imagine how the sound from the organ (at top) sounds throughout the interior. With the people at the bottom of the pictures, you can get a sense of how big the interior is. 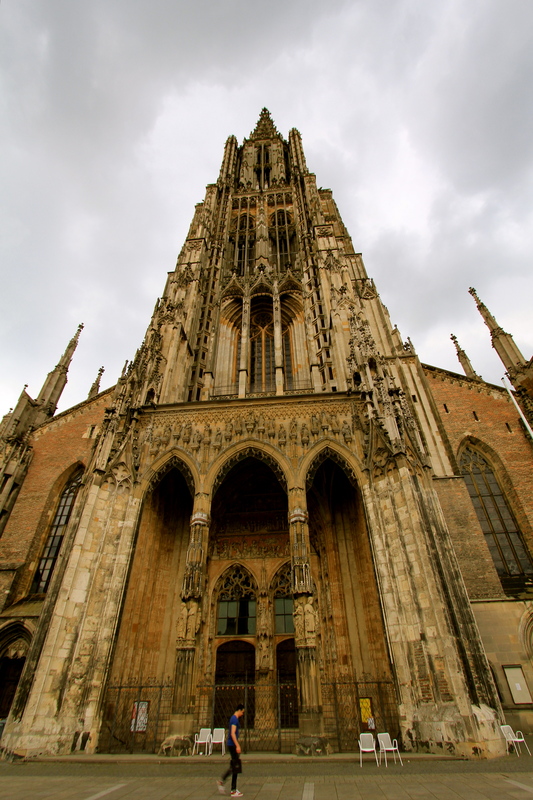 Ulm Minster is a Luthern church that is the landmark of Ulm. 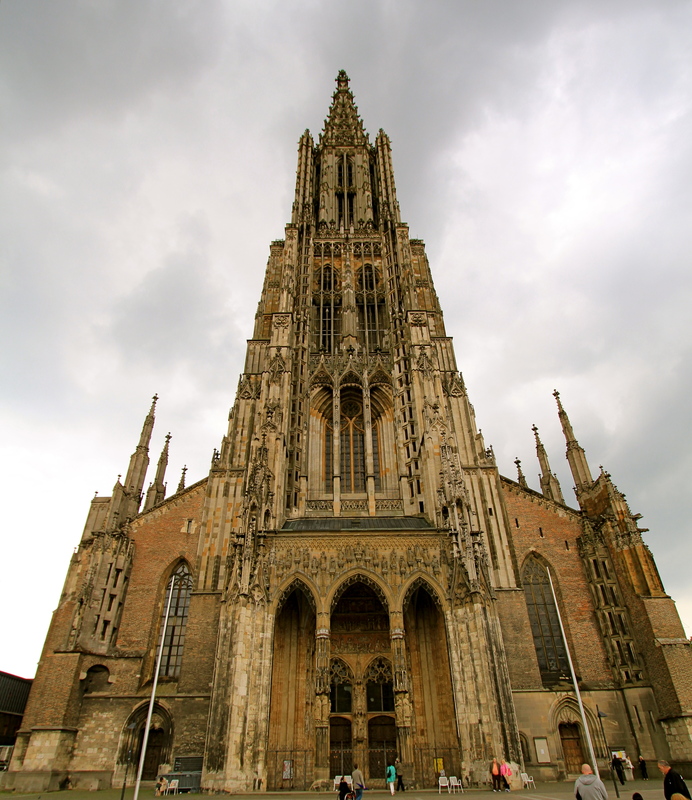 It is the tallest church in the world with the steeple rising 530 feet. 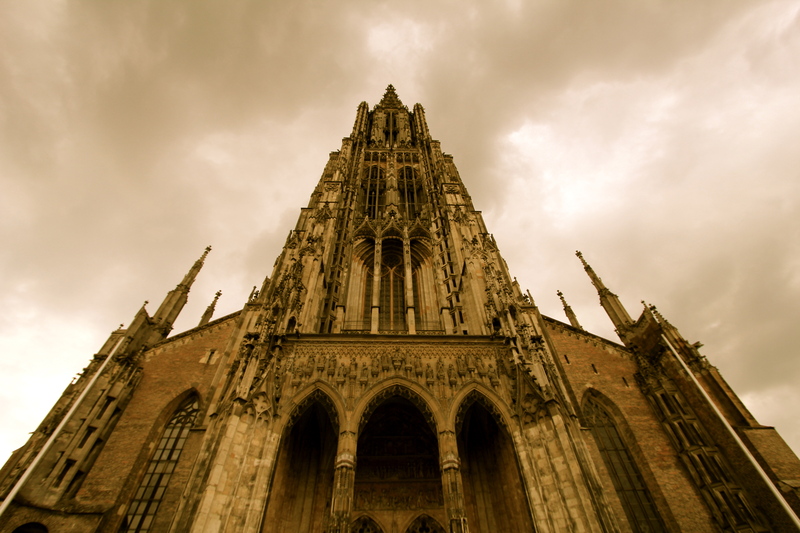 The Gothic architecture is beautiful to see in real life after studying this in school. The reason for it being so tall is to be closer to God. Even with a wide-angle lens and standing at a good distance back, it is a challenge to get the entire church into one frame. Our hotel for the evening was the Golden Tulip Hotel, which sits on the Danube River and provides an easy walking entry point to the old part of Ulm, and to the church. 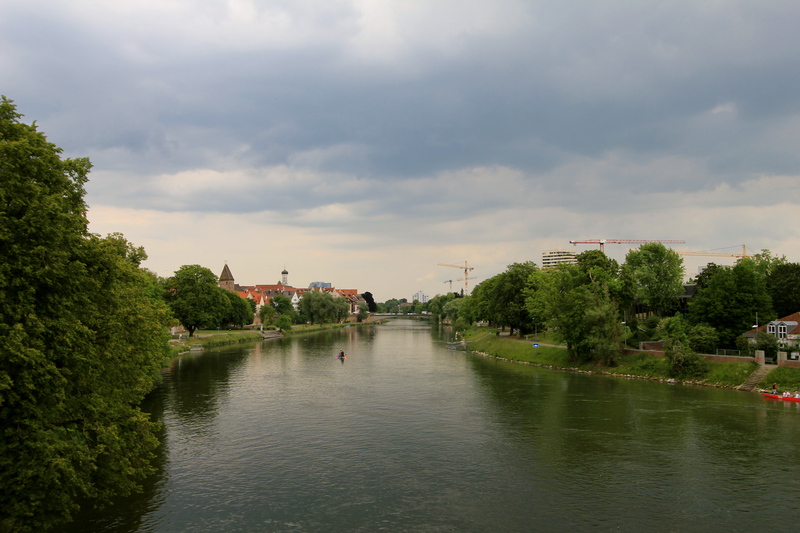 We arrived in Ulm at about 5pm, ate dinner in the city, and enjoyed sitting along the Danube watching the river float by, and people on their bicycles pass. The next morning after eating breakfast at the hotel, we enjoyed one last morning walk along the Danube before continuing our drive to Venice.